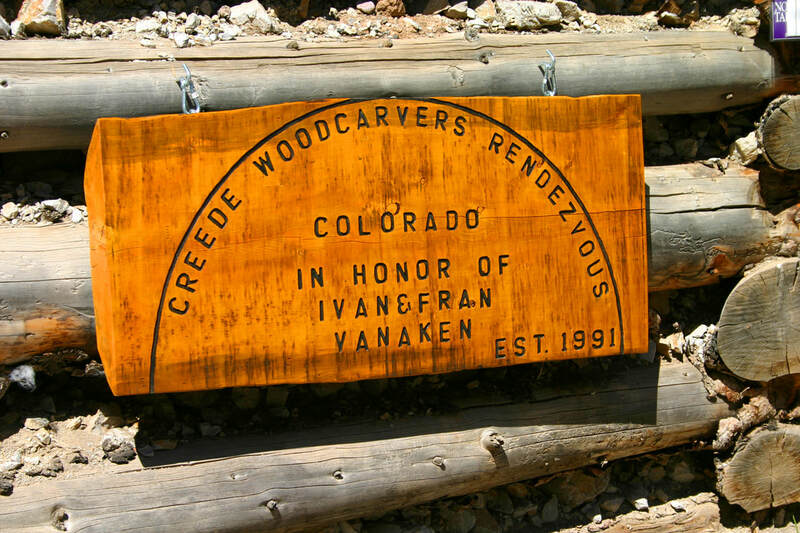 The Creede Woodcarvers Rendezvous Colorado was the brainchild of Fran and Ivan Vanaken in 1991. Fran started carving in 1974 in Palmer Lake, CO when Howard Miller introduced her to bird carving and Jack Bayman from Thornton, CO. Jack moved to Palmer Lake and a group of students formed what eventually became the Pikes Peak Whittlers. Over the years, Fran and Ivan went weekly to the Elementary School in Palmer Lake and taught carving to the students. Another group, the Colorado Carvers Club, had a week-long carving event in Como, Colorado where carvers enjoyed kinship, carving, and the mountains. Fran was so impressed she wanted to begin something annually. She thought it would be perfect in the beautiful town of Creede, CO where she and Ivan had moved. So in 1991, she invited members of the Colorado Carver Club and the Pikes Peak Whittlers to Creede to see if there might be interest in a carving event there. It began with a few folks in what is now the old school gym. After working with the mining museum, a plan came together to bring the event to the museum for mutual benefit. After the underground community center was completed in 1994, the event was moved into that venue. By word-of-mouth and the spectacular location, the event has grown by leaps and bounds. It has expanded from the Community Center to the tunnel, porch areas, Firehouse and Annex. Now folks come from all over the country to enjoy this educational and fun event. An auction was added to the event to raise money to improve the facility. The Rendezvous bought tables, chairs, and made electrical improvements from the auction funds. Creede is a beautiful location with great fishing, rock hunting, ATVing, the Creede Repertory Theatre, fun shopping and great food. The event also hosts non-carving classes making it an excellent family vacation. ​Thank you Fran and Ivan.